Started by: robroy289 in: My Machine Hates Me! 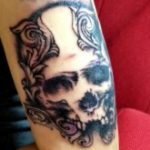 Started by: robroy289 in: Where to Buy the Tattoo Safe Gear? Started by: robroy289 in: So Introduce Yourself!